When we were first married, and then for quite a few years in a row, my husband and I would travel to Paris for our Thanksgiving holiday. I have no idea why we started this as we have no family there, but it seemed like the perfect place to repeatedly visit that we both equally loved. It also seemed like a good way to take advantage of long holiday weekend and scratch our travel itch. We would save the family visits for Christmas travel and make this about our own traditions. Our Thanksgiving meal was always in some fabulous bistro we would discover and we would try to eat turkey (or at least chicken aka poulet) on the actual day. This post them feels quite timely since I will only be traveling to Paris in my imagination this year! But I do feel a major need to visit my beloved Paris again soon. 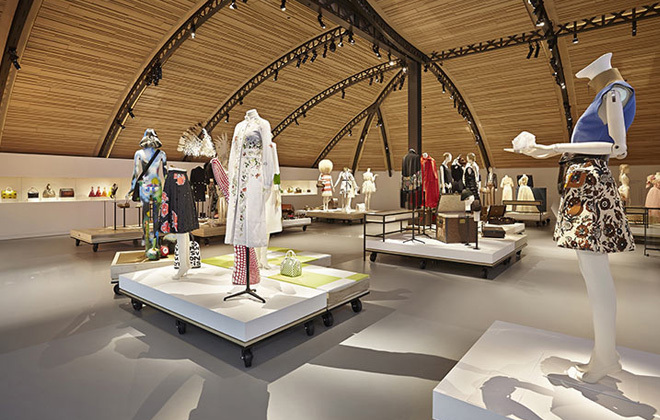 When I get there, I then will have to see this amazing Louis Vuitton museum called “La Galerie”. 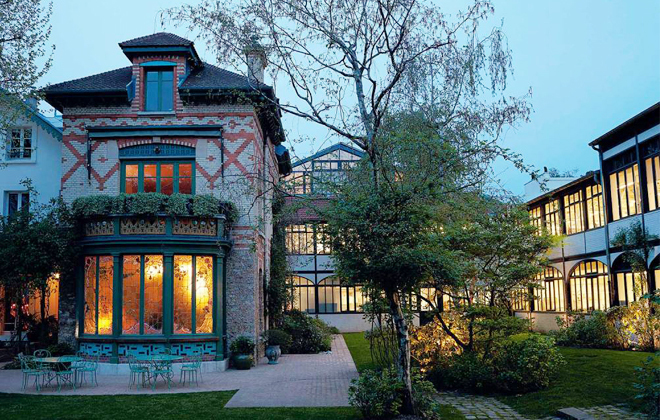 In 2015, Louis Vuitton opened this historic private museum on the grounds of the family estate in the northern Paris suburb of Asnières-sur-Seine. Along with the beautifully preserved family home, and the bespoke atelier, the museum, houses the amazing archive of this iconic brand. How cozy and inviting does this home look? I would like to move right in. 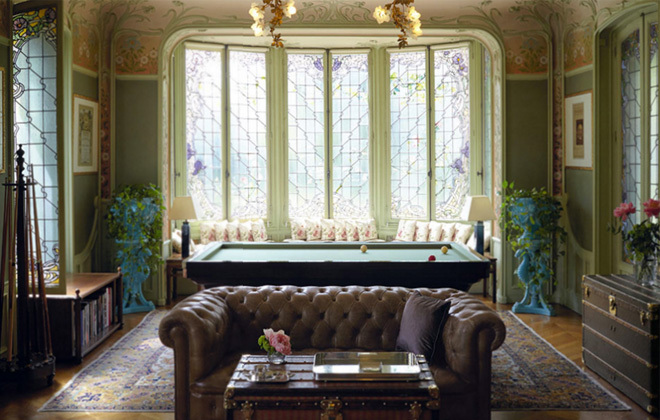 The Asnières has a rich history, charting back to 1859 when Vuitton made the strategic decision to move his entire operation out of Paris in order to expand into greater markets. Here he commissioned the beautiful steel and glass structures emulating the Eiffel Tower, as well as the beautiful 19th century home, where the family lived until the 1950s. It was important for Vuitton to be close to the production, in order to ensure the absolute highest quality. An image of the gallerie space. The 6,500-square-foot exhibition space holds the meticulously kept records of everything from sales to designs of this historic fashion house, as well as pieces that have belonged to top tier clients, including Royalty, Hollywood stars, and dignitaries alike. The permanent display, curated by Judith Clark, brings together over 400 pieces of clothing, documents, objects, and accessories from the impressive archives. Arranged thematically, the exhibitions tells the fascinating visual story of this brand, from high end luggage innovators, to one of the top names in fashion today. 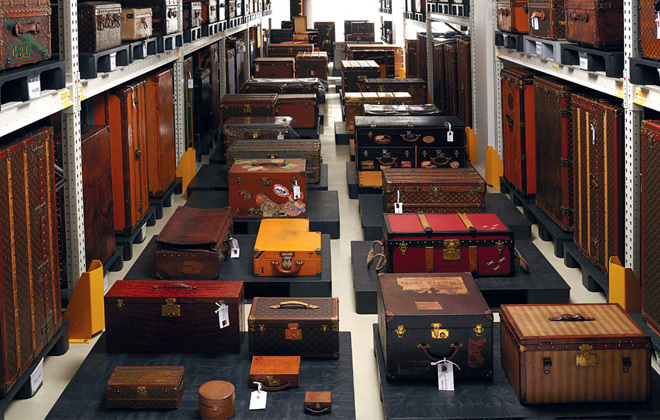 Look at this amazing trunk archive! I also just love that the atelier on site is still where some of the most high-end, custom ordered Louis Vuitton leather goods are made! These artisans are working to continue the grand legacy of one of the most incredible craftsmen of our time. Many do not know that Louis Vuitton began his career at just sixteen years old, when he walked on foot to Paris with little else than pure ambition on his side, where he began apprenticing for the trunk maker M. Marechal in 1837. Soon after he was able to open up his own shop, and by 1859, having established himself at the top of the market for trunks and leather goods, the Asniéres became the hub of both family life and production for Vuitton, where he not only raised his family, but passed down the legacy of his craft to his sons. I am not sure about you, but this makes me appreciate LV so much more than I already do. Some samples of the handmade items in progress. In his time, Louis Vuitton revolutionized the idea of traveling in style, at a crucial time when people were beginning to make not just trips across the country in a horse drawn carriage, but trips across the oceans in the newly developed commercial steam liners. 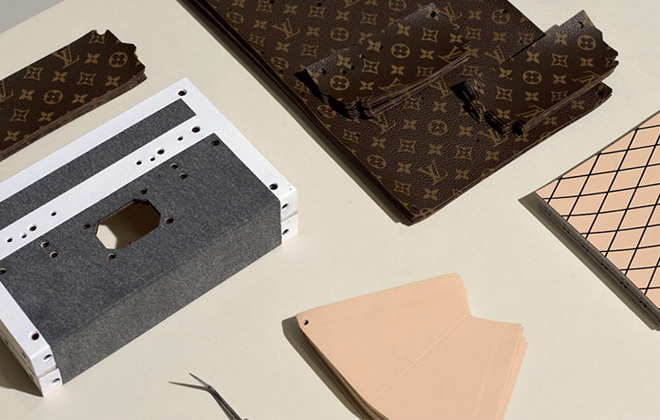 Vuitton was able to maintain the highest level of craft and attention to detail, while still making crucial innovations, like creating flat rectangular tops, rather than rounded ones to enable stacking, and developing his now infamous canvas sheathing, which was lighter and more waterproof than the usual leather trunks of the time. His sons continued in this tradition, Georges Vuitton revolutionizing the locking clasp system in 1886, and launching the now famous LV monogram canvas pattern, insuring that Louis Vuitton would remain at the pinnacle of luxury design. It surely has.